Republicans are right to resist a pair of union-backed bills that would erode government transparency. But these same lawmakers undermine their passionate arguments for open government when they won’t abide by those standards themselves. This is a convoluted tale in which Republicans appear to have the high ground. But by making their point using an agency document obtained through a public-records request, GOP lawmakers are illustrating exactly why the state’s Public Records Act must also apply to them and other legislators — something they continue to fight against. Right now, Republican leaders are fuming that Democratic Gov. Jay Inslee’s administration has pushed for legislation that, as it turns out, was specifically requested by the Service Employees International Union (SEIU). The union is a major Democratic campaign contributor; the political arm of SEIU 775 alone contributed more than $736,000 to Washington state campaigns in 2016, including $42,000 to a committee supporting Inslee’s re-election bid. A 2014 U.S. Supreme Court ruling, Harris v. Quinn, found that certain workers who provide in-home health-care services — i.e., those represented by SEIU 775 — cannot be forced to pay union dues. Now, Inslee and other Democratic lawmakers want to place those quasi-governmental workers under the oversight of a new private entity, a move that could once again require caregivers to pay fees to the union. A 2014 memo from Inslee’s budget office indicates SEIU leaders directly asked state officials for this change. Without that document, which lawmakers said came to light through a public records request, “we wouldn’t know” Inslee’s administration was operating at the union’s behest, said state Sen. John Braun, R-Centralia. “When you dig deeper, you realize this isn’t really (about) contracting out at all — it really is a sweetheart deal to one particular union,” said state Sen. Joe Fain, R-Auburn. Yet unlike the state agencies Inslee oversees, which routinely disclose internal documents as required by law, state lawmakers don’t release their back-and-forth communications with special-interest groups. Instead, legislators consider such documents to be outside the reach of the state’s Public Records Act, immune from outside review. In other words, if a similar request had been sent from a lobbyist or corporate CEO to a key legislative committee chair, the public would have no way of knowing about it. The “sweetheart deal” would have remained under wraps. The Associated Press, The Seattle Times and eight other news organizations recently went to court to challenge lawmakers’ contention that they aren’t subject to the Public Records Act. While Thurston County Superior Court Judge Chris Lanese ruled in January that individual legislators must comply with the law, the Legislature is appealing that decision. Senate Majority Leader Sharon Nelson, House Speaker Frank Chopp, House Minority Leader Dan Kristiansen and Senate Minority Leader Mark Schoesler have provided no explanation for why they keep fighting to withhold records from the public. Ultimately, Republicans are right to question the value of Democrats’ home-care worker privatization plan, which would substantially increase the state’s costs while obscuring documents associated with the new private entity. GOP lawmakers are also justified in fighting a separate union-backed bill that would exempt state employee birth dates from public disclosure. But these same GOP lawmakers undermine their passionate arguments for transparency by refusing to abide by those same standards themselves. 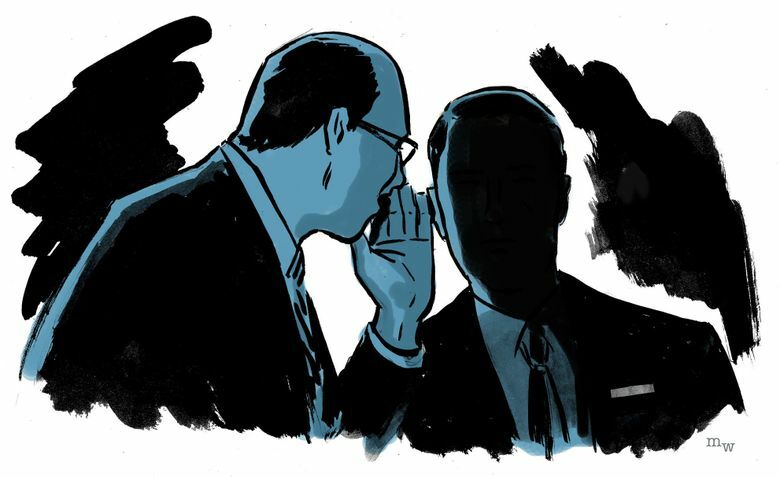 Their selective love of the state’s Public Records Act — including their recent fervor over the 2014 memo from Inslee’s budget office — only proves how much the public benefits from increased scrutiny of politicians’ backroom deals. If Republican legislators are going to complain about political wheeling and dealing by the governor’s office, they and their Democratic colleagues should be willing to turn over records showing how often they engage in the same behavior. Revealing such information is not only fair, but vital to the people of this state, who deserve to know who is influencing their elected officials.